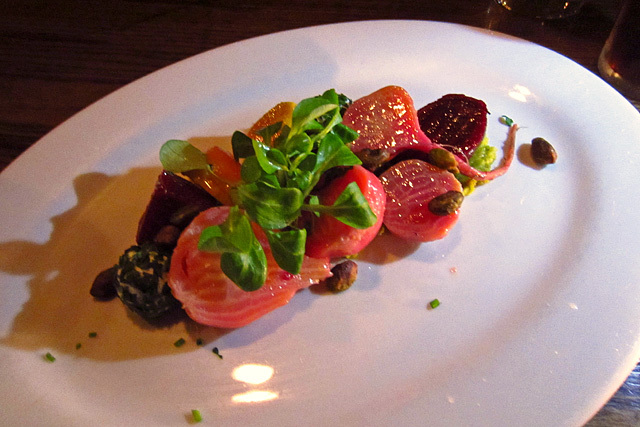 As The Corner Door nears its two-year anniversary this June, bar manager Beau du Bois continues to garner acclaim well beyond the restaurant’s Culver City neighborhood. Recent accolades include being named one of America’s 25 Best Bartenders by The Daily Meal, and in 2013, being listed as one of Zagat’s 30 Under 30. Du Bois noticed that some of his clientele had started to take their imbibing up a notch. He would serve a special or an off-menu drink like a Little Italy, and the guest would ask, “What if you make it with this instead?” Clearly, there were some palates that were ready to go to the next level. With that in mind, du Bois created a short menu of cocktails called The Other List, which he quietly debuted at The Corner Door a few months ago. Similar to Justin Pike’s “secret” postcard menu at The Tasting Kitchen, du Bois offers The Other List to selected guests he feels would appreciate a few cocktail options that go beyond the regular drink list. At a hosted tasting of the The Other List, I was joined by Ron Dollete of Lush Angeles, who had just returned from an epic trip to Oaxaca. 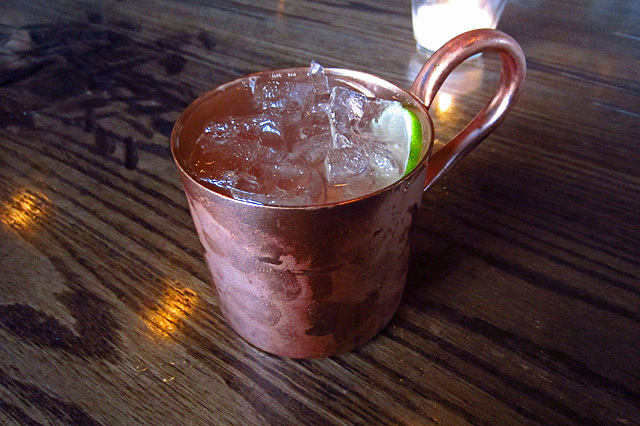 While my fellow imbiber made his way through Westside traffic, du Bois suggested a Moscow Mule on tap, made with Sobieski vodka, lime juice, and house-made ginger beer. Du Bois said this is the ninth Moscow Mule he’s featured on tap, since he tweaks the recipe with each new keg. He noted that he can control the “highs and lows,” resulting in interesting spice notes that weren’t there before. 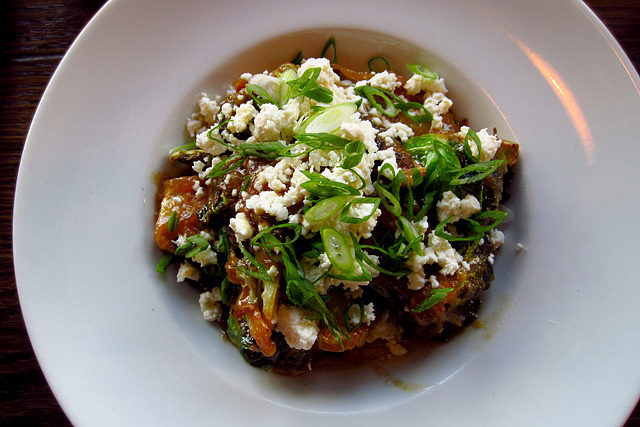 Brussels sprouts – roasted and fried, topped with feta. 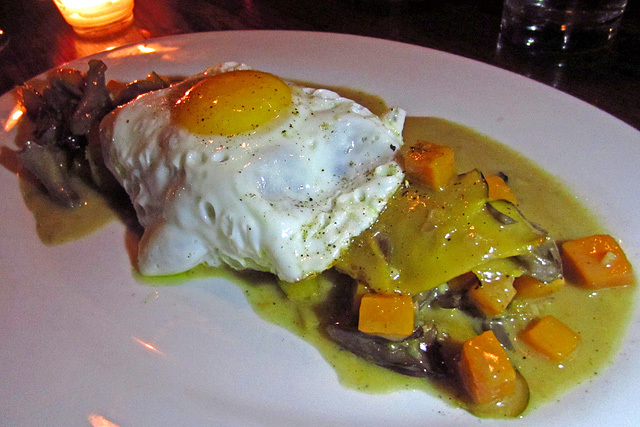 Before exploring The Other List, we fueled up on a few dishes, including an heirloom beet salad, Brussels sprouts, and the standout polenta with roasted wild mushrooms and winter squash, topped with a fried egg. First up from The Other List was du Bois’ favorite, an El Presidente made with El Dorado 12-Year Rum, dry curaçao, and Dolin Blanc Vermouth de Chambéry. Du Bois began his research with his vintage copy of the El Floridita cocktail book, and follows the lead of rum authorities like Wayne Curtis and RumDood by using an aged rum instead of the standard white rum. 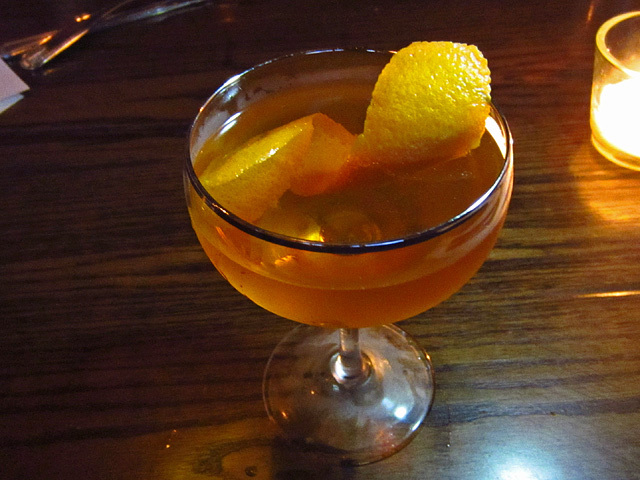 The El Dorado adds considerable character to du Bois’ take on the Cuban classic, a harbinger of the rest of The Other List drinks. 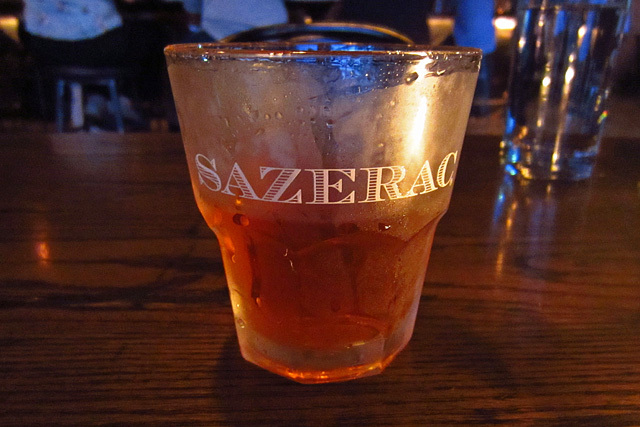 The aptly-named OG Sazerac goes back to the cocktail’s original recipe, featuring Pierre Ferrand 1840 Cognac, herbsaint, Peychaud’s Bitters, and sugar. Next was the King’s Assassin, made with Old Raj Gin, Cocchi Americano, orange peel-infused Salers Gentiane, and Dolin Blanc. 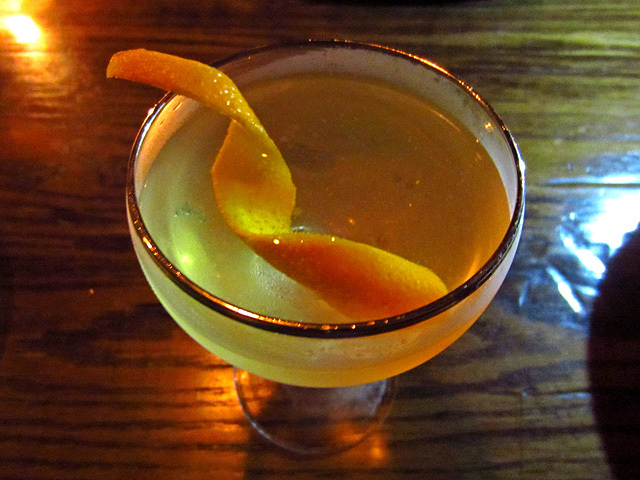 The original King’s Assassin was an immediate hit when du Bois debuted it at The Corner Door in fall 2012. For the version 2.0 of his “anti-Negroni,” du Bois amps up the horsepower by using the 110-proof Old Raj, then takes the distinctly vegetal Salers closer to Campari territory by infusing it with orange peel. The King’s Assassin was a personal favorite from the get-go, and The Other List version is a worthy heir to the superb original. 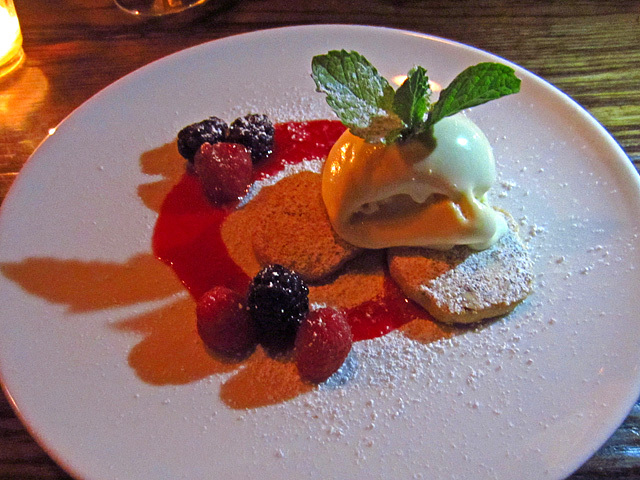 A pause for dessert: pecan sandies with maple mascarpone ice cream and raspberry coulis. The final cocktail was the Dad’s Old Fashioned, a because-he-can version of the classic that du Bois makes with Pappy Van Winkle 13-Year Rye, Angostura Aromatic and Orange Bitters, and sugar. At $40, the Dad’s Old Fashioned is not surprisingly the most expensive cocktail on The Other List – the others range from $13 to $15. 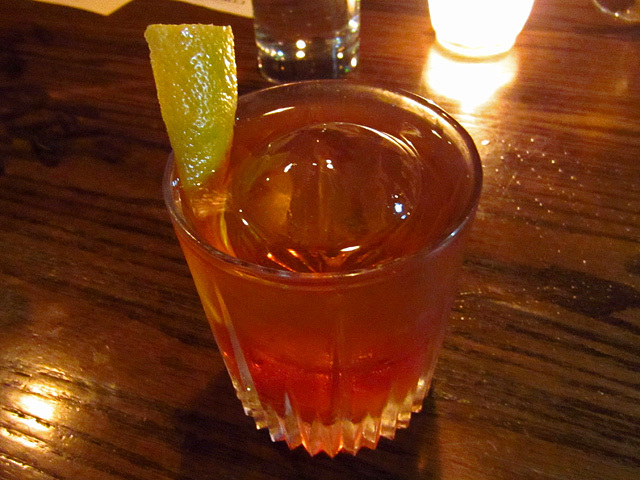 A decadent cocktail to be sure, but with the cult favorite Pappy as its base, the Dad’s Old Fashioned will no doubt have its fans. Du Bois has rolled out The Other List slowly, discreetly introducing it to guests and letting word of mouth do the rest. 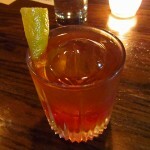 He noted that a few guests have been working their way through The Other List, including even the Dad’s Old Fashioned. 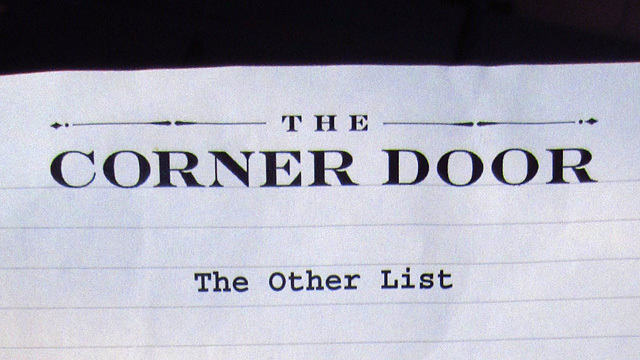 No word on whether this will be a permanent list or if cocktails will rotate out, but the current version of The Other List offers an excellent alternative for The Corner Door’s regulars and first-timers alike.